Jerry Franklin Struchen, 82, of Fort Dodge, Iowa, passed away peacefully, on Wednesday, June 6th, 2018, at the Paula J. Baber Hospice House, after a short battle with very aggressive Cancer. Born on September, 10th, 1935, in Alburnett, Iowa, to Carl and Harriet (Johnson) Struchen, Jerry grew up on a farm, with his 6 siblings. 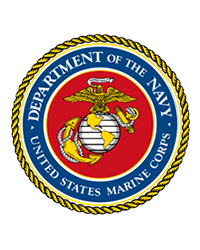 He joined the Marines in 1952, and was stationed in Japan, until being honorably discharged, in 1957. He returned to Cedar Rapids, and continued with the Marine Reserves, until 1962. Jerry was active in Community Theater and was an appliance salesman in Cedar Rapids. He moved his family to Webster City, in 1965, to take a sales position at Home Appliance & Furnishings, a store owned by two of his brothers. 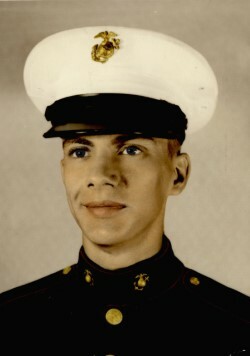 While living in Webster City, Jerry was involved in Community Theater, Kiwanis, was Commandant of the Mid-Iowa Detachment of the Marine Corps League, was a youth group leader at First Congregational Church, taught the special needs Sunday school class, at Asbury United Methodist and sang with the Harmony Brigade. After leaving Webster City, he moved back to Southeast Iowa, and North Carolina, then back to Cedar Rapids, until making the recent move to Fort Dodge, to be closer to family. Jerry enjoyed Cubs baseball, anything Hawkeyes, motorcycles, good food, tinkering with cars, woodworking, sharing jokes, and the company of his cat, Suki #3. You may have met Jerry, but didn't get his name. If you were out for a birthday dinner, and a man came up to give you a dollar, after the restaurant staff sang Happy Birthday, that was probably Jerry. He is survived by his daughters, Dawn Paton(Huntley), of San Diego, CA and Jennifer Gilbert(Joe), of Fort Dodge, IA. His grandchildren, Brittany (Kenny) Eggers, Comfort, TX, Morgan Struchen, Fort Dodge, Bennett Paton, North Carolina, Grace Paton, San Diego, CA, and Joely and Kallista Gilbert, both of Fort Dodge. He is also survived by his sister Shirley Marsh(Denny), of Marion, IA; his brother-in-law Ken Kroeger, of Cedar Rapids; great-grandchildren, Nick and Haley Eggers, his faithful kitty companion, Suki #3, as well as his many loving nieces, nephews and friends. Jerry was preceded in death, by his parents; brothers Eugene, Norman and Donald, sisters Carline Skallerup, and Mary Kroeger, sisters-in-law Shirley, Mary, Fern and Ruth, brother-in-law Harvey Skallerup; nephew Andrew Marsh, plus beloved pets, Sukis #1, & #2, Benson, and Dawson. The family would like to send a special thanks, to the entire staff at the Paula J. Baber Hospice House, in Fort Dodge. You are truly angels on earth. You treated him with respect and love, in his final days, and allowed him to retain his dignity. We will never forget your kindness and care. A Celebration of Life will be held on Sunday, July 1st, 2018, from 1 to 4 pm, at the Fort Dodge VFW - 518 S 29th Street. Military honors will be presented by V.F.W. Post No. 1856 and the United States Marine Corps Honor Guard. A light lunch will be available. Historic Bruce Funeral Home was entrusted with the arrangements. Online condolences may be directed to www.brucesfuneralhome.com.